Finally getting around to replacing damaged Dell laptop and Dell netbook screens can feel a little like finally getting the balding tyres on your car replaced – surely one more day will be fine? But, as with car tyres, there is a point at with it becomes dangerous and foolhardy to put off repairs. We have included a video below to aid replacing a broken Dell Inpiron 1545 screen. A badly-fitted or loose Dell laptop display isn’t just frustrating; it can contribute to some pretty serious internal component issues within your laptop. It could be that an issue with your laptop’s hinges has led to the screen’s structural integrity. Tightening the hinges using manufacturer-recommended methods may help restore the stability of your laptop screen. However, if the problem does not lie with the hinges, a Dell replacement screen is the only way to provide protection from external factors whilst re-establishing the highest level of usability. 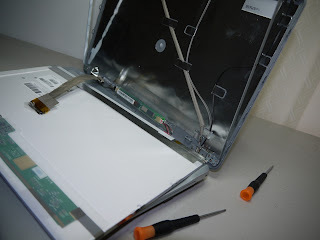 In the video tutorial below I will show you how to replace a damaged/broken screen on a Sony Vaio VGN CR and CS series. The screen in the Sony Vaio VGN-CS and the VGN-CR series is a 14.1 WXGA x-black LCD screen with a resolution of 1280 x 800. This same replacement instruction can be used for many other Sony Vaio laptops as I have used a standard replacement technique in the video. Follow the instruction carefully. 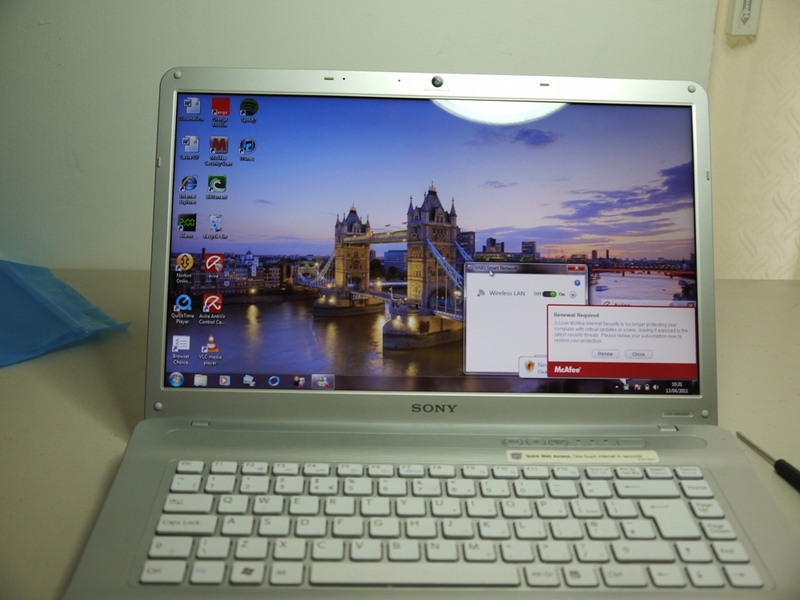 Sony Vaio Laptop screen replacement can be as easy as ABC and by following the video instruction above you will find out it might just be a DIY for you. 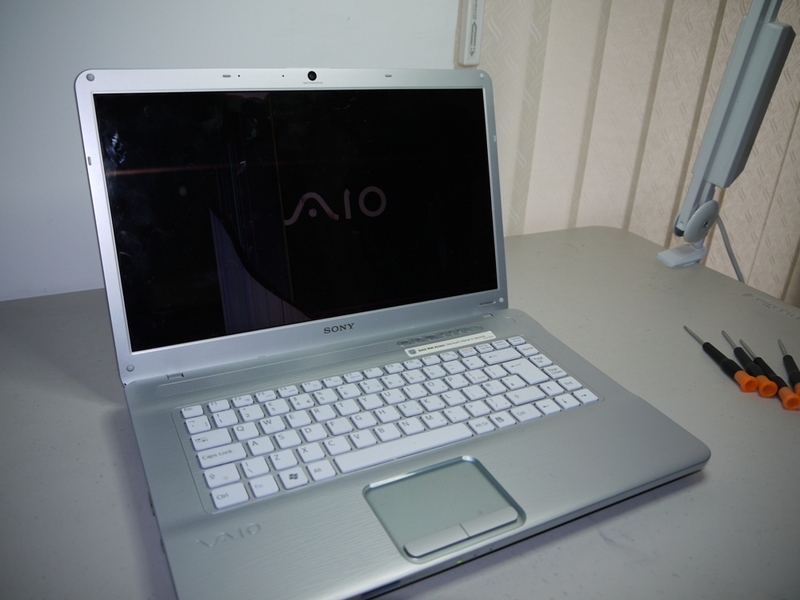 VGN-NW series go to sony vaio VGN-NW series. Place the screen flat on the keyboard area and the picture below is what you will see. At the back of the screen is a ribbon cable called the screen data cable. The screen data cable transmits all that goes on at the lower part (motherboard area) of the laptop to the screen. There is also another cable called the inverter cable. This is at the bottom area of the screen and it connects to a small board called the inverter. The job of this cable and the inverter is to produce bright light to the screen whereby if the inverter or the backlight connector is damaged, the screen WILL WORK but there will be no bright light to the screen. 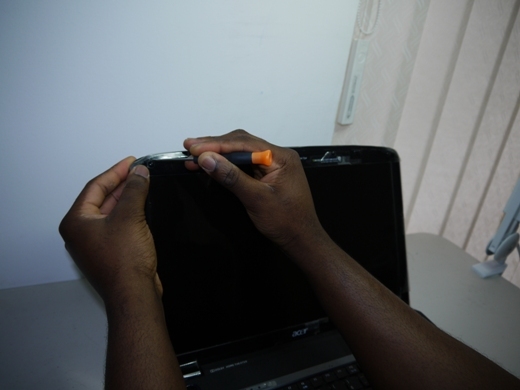 Carefully remove yellow tape, pull up the clear tape and carry out the data disconnection as below. 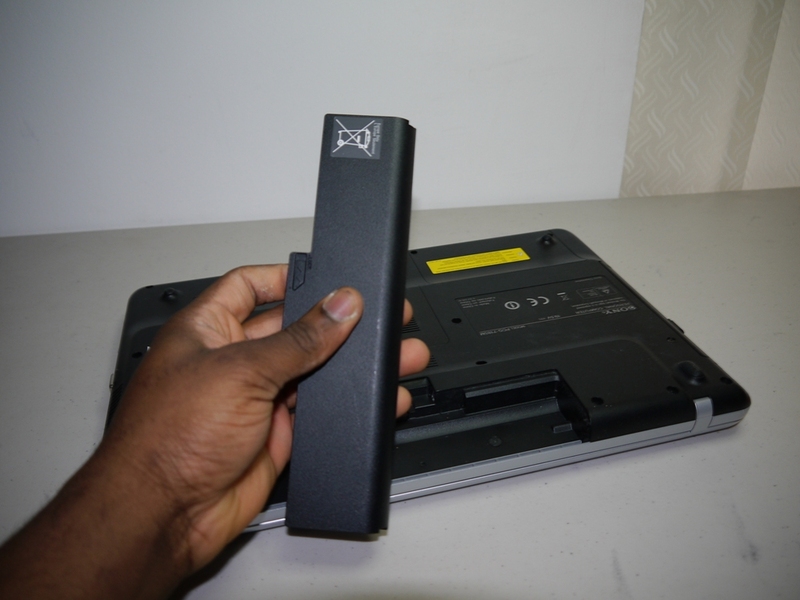 The next thing is to remove the inverter connection by pulling as in the images below. 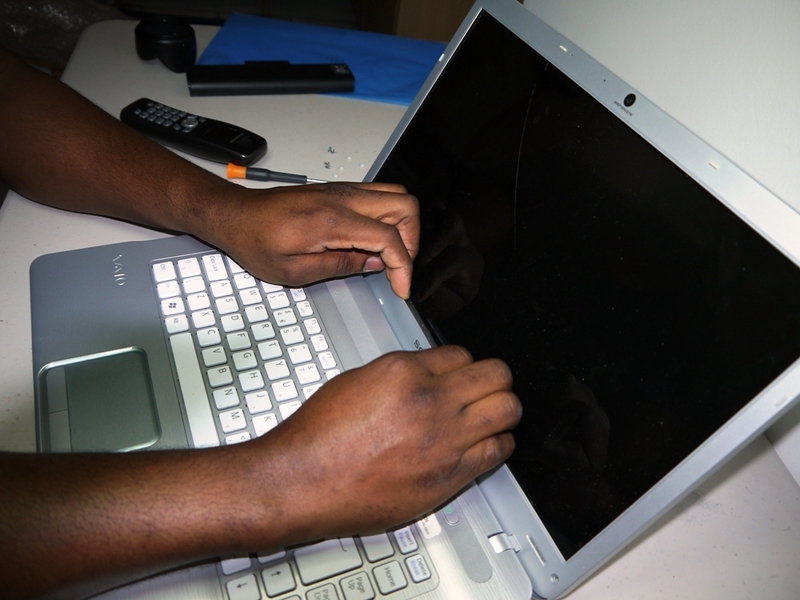 Only buy original screens for laptops as regular screens may not give you same quality and screen brightness control. 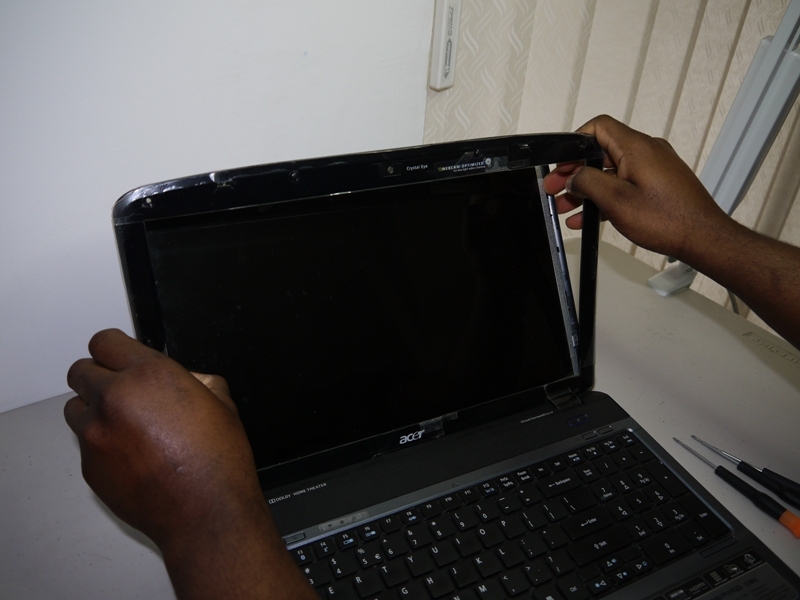 In this tutorial I will show you how to replace a laptop screen on Acer Aspire 5740 and 5741 series. The Acer aspire 5740 and 5741 series come solely with 15.6 HD LED LCD widescreens with resolution of 1366 x 768. This replacement instruction can be used for many other laptop. The very first thing to do is to get the right replacement screen for your laptop. 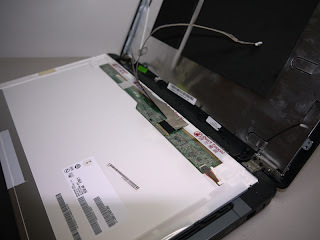 To easily order a replacement screen for the Acer Aspire 5740 and 5741 series go to http://www.laptopscreenonline.com. You must remove laptop battery before starting. 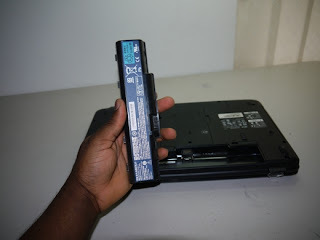 When you are sure you are ready for the screen replacement and you have the right screen for laptops first remove the laptop battery as notebooks with LED screens are very sensitive to charges when carrying out works on them. This image on the left shows how you will take the screw covers off which will then expose the screws holding down the bezel to the top part of the laptop. Remove the screws too and keep them safe. After removing the screws the next thing is to place your fingers between the screen and the bezel and start pulling slightly on all the sides until the bezel is pulled free from the laptop. This needs to be done carefully as shown in the images below. 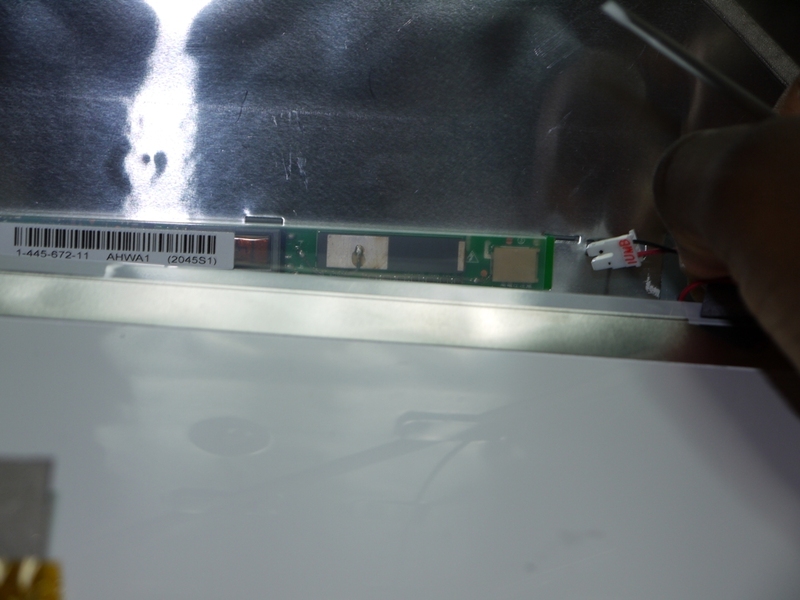 After the plastic bezel is removed the next thing is to remove all the side screws as shown in the image below. Make sure all the screws are well places so as not to have them mixed up. Remove all side screws holding the screen. Removing the side screws will then free the screen from the laptop leaving only the screen data cable left to deal with. 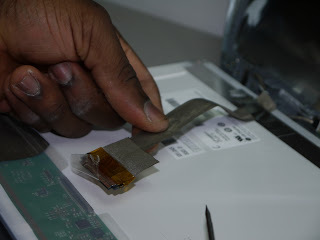 With the image instruction below, carefully pull up the clear tape holding down the screen data cable and pull the data connectors apart. This must be done with care as any mistake may cause a permanent damage to the cable or the connector. After this then the screen removal process is complete. To replace the screen you only need to carry out the instruction in a reverse order. Only buy original laptop screens replacement as regular screens may not give you same quality and screen brightness control. Good luck!! This Instruction is brought to you by Laptop Screen Online. Many of us rely on our laptops. The help us complete our work, keep in touch with friends and family and can be our complete entertainment system. Laptops are very fragile though. Dropping it or knocking off a table can easily damage laptop screens, leaving us without our essential gadget. 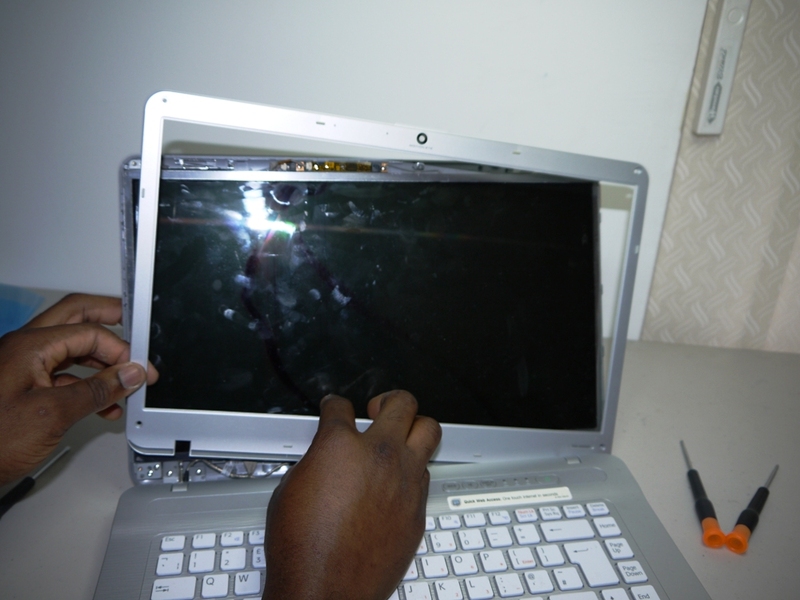 Should your laptop screen get damaged, there are various options that you can choose from. 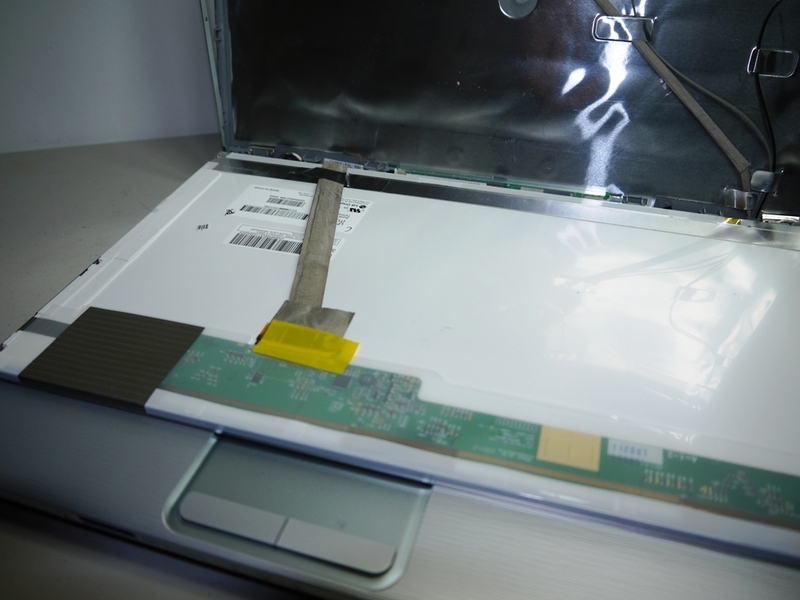 Broken laptop screens can be incredibly frustrating. While your laptop itself can function perfectly well, the lack of a screen makes it unusable. 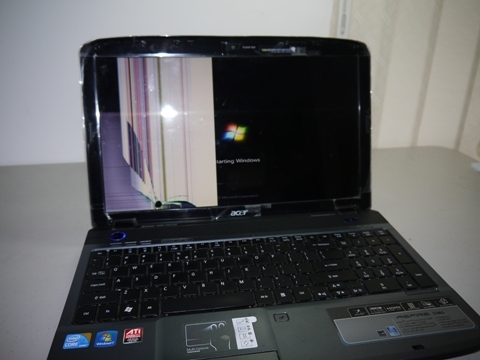 When laptop screens get damaged, it can be tempting to go out and purchase a new laptop. While this would solve the problem, it incurs considerable cost, plus the inconvenience of having to transfer all your files onto your new computer. Another option is to send your computer away for laptop screen repair. This is incredibly convenient and a simple way to avoid having to buy a new computer, but can cost just as much. 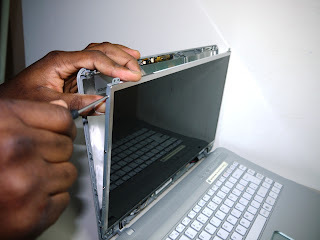 Laptop screen repair can also sometimes take several weeks, which is longer than most of us would like to be without our computer. 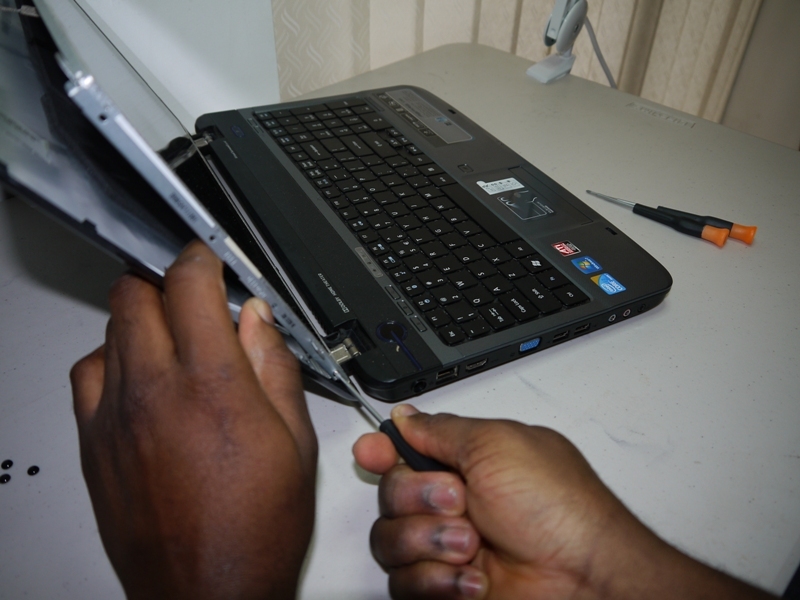 The simplest and most cost effective way to repair your laptop is to simply purchase a new screen. Replacement laptop screens cost considerably less than a new laptop, and installing them yourself is much quicker than sending your computer away. 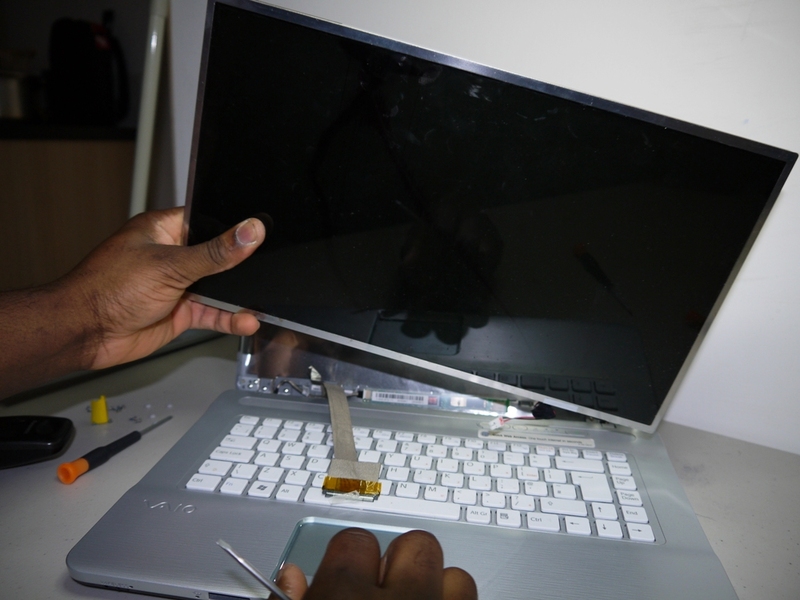 Laptop screens replacement is also relatively simple, even for people with minimal technical knowledge. Damaging laptop screens can be extremely frustrating because often a seemingly innocuous knock or minor damage can render a screen absolutely useless. Looking for laptop screens online allows customers to decide which company offers the best laptop screens replacement service and there are definitely some excellent firms online who have a good service. However, we are confident that, no matter the comparison, no firm offers the type of comprehensive replacement, repairs and delivery service which is the trade mark of www.laptopscreenonline.com. In the modern world, we do much of our communicating, socialising and relaxing online as well as watching news, documentaries , drama shows, movies and reading papers and magazine. We also listen to music and share information with like-minded people all across the world. Many of us even rely on our laptops working correctly because we work from home and we’re therefore unable to earn if our laptop screen breaks. For all of us who earn a living online, a good laptop screen repair and supply shop is worth its weight in gold. No business person or web worker wants to lose business, clients and cash because of faulty machinery so in the event of a broken screen, the quicker the repair is completed, the better. 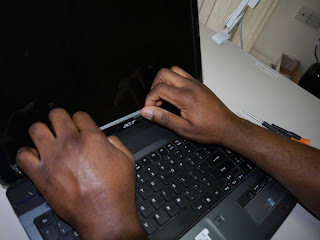 The professionals at www.laptopscreenonlineonline.com are always happy to advise on purchasing the correct screen for your make and model and are even happy to fit your screen very quickly so that you can get back to earning money as soon as possible. Whilst you are free to shop around we have testimonials from many customers who, after the service which we supplied, wish that they had saved both time and money by approaching us first. Our superior service, excellent stock supplies and sets us apart from the competition. At Laptop Screen Online we are amongst the finest purveyors of replacement laptop screens on the market. Our laptop screen repair service is absolutely second-to-none and we regularly pick up and drop off laptops free of charge from locations all around the United Kingdom, and customers have come to appreciate our friendly, fast and efficient service. Replacement laptop screens are most definitely in our blood at Laptop Screen Online and our selection is so superb that we regularly ship superior replacement laptop screens to the ends of the Earth. At this very minute, there are many people in Malibu, California, New York, Toronto, Kingston Jamaica, Sydney Australia, Wellington New Zealand, Paris, Brussels, Milan, Manchester, Detroit and Dunfermline, Scotland enjoying hours of entertainment, keeping in touch with friends and relatives and completing work all because they have had the good sense and wisdom to order replacement laptop screens from Laptop Screen Online. With over nineteen-thousand five hundred LCD, LED and WXGA laptop screens replacement available for makes such as Emachines, AU optronics, Dell, Sony, Fujitsu Siemens, LG Philips, Samsung, Sharp and Toshiba, as well as many other prestigious brands, no matter your particular make and model, we can definitely supply the exact screen which meets your requirements. Simply use our excellent search engine and enter your make, model and part number and we have little doubt that we will have your screen in stock. With secure payment, rapid delivery, and the most comprehensive selection, as well as dynamic and professional customer service which is the envy of our competitors, we have a special combination at Laptop screen online which is impossible to beat! Whatever laptop you own, if you are seeking replacement laptop screens which are high quality and will stand the test of time, www.laptopscreenonline.com is the very best place to begin your search. Looking for laptop screens online can often be extremely frustrating because many online shops have very limited stock, are unable to deliver to certain areas and also charge exorbitant amounts. However, at Laptop Screen Online we source the very best quality laptop screens and send them securely to locations all around the globe where they can either be fitted by local repair experts or self-fitted by experienced and confident clients. Whether you fit the screen yourself or we repair it from you , we can guarantee that you find the exact screen which you repair from our amazing stock selection. We actually stock nineteen thousand five hundred LED and LCD laptop screens from diverse manufacturers so no matter how rare the screen you require, we are the best place to look. We stock screens for big brands such as Acer, Asus, Apple, Compaq, Dell, HP, IBM, Packard Bell, HP Sony and Toshiba amongst many others. Through searching for your screen by model and part number on our powerful online search engine, we can find your exact screen in a split second and you can order it immediately after you have read about its specifications. We can ship anywhere in the world but if you are a UK resident we offer an excellent laptop screen repair service in which collection and delivery in any UK location is free of charge. However, if you are confident about self-fitting and require some expert advice to refresh your memory, we are also happy to help. It is not so long ago that a broken laptop screens meant that entire computers had to be replaced as it was so expensive to purchase replacement laptop screens and also to find a reliable person with the expertise to do so. Nowadays, however, it is relatively simple to purchase laptop screens online, but there are a few wise precautions which you should take before you part with your cash. Firstly, ensure that you are purchasing the correct screen; some laptop models have variation within their range so it is important to use manufacturer’s codes, laptop model and part number and correct sizing in order to ensure that your screen will fit snugly and perfectly. You should also consider whether the website which you are ordering from is reputable, has secure online payment and can deliver to your area. 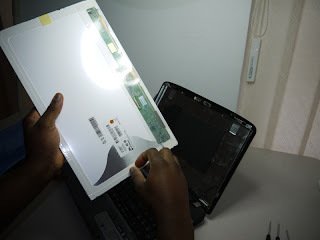 Furthermore, if you are not confident enough to fit the screen yourself, you should check whether the same company offers a laptop screen repair service . Check prices too, because it can still be extremely expensive to purchase screens directly from manufacturers but many companies now stock high quality generic screens for a fraction of the manufacturer’s price. 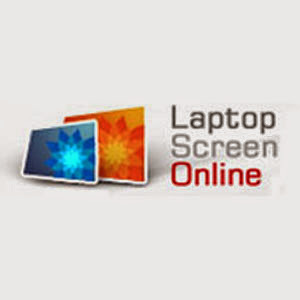 Www.laptopscreenonline.com is a UK based comprehensive laptop screen supply and repair service which ships screens securely domestically, to European destinations and indeed, all around the globe. For some reason, in certain territories it can be difficult to find the exact screen which you require but our ever-expanding stockroom contains every replacement screen possible, so you are sure never to be disappointed. At www.laptopscreenonline.com we not only source and supply replacement laptop screens but we also deliver laptop screens to locations all across the globe. Because our selection is absolutely exhaustive and our prices are very competitive, even if you do not live in the United Kingdom, you can order laptop screens online from us and still find that you have got a great deal. We regularly deliver all across the United Kingdom, from Land End to John o’ Groats and everywhere in between. We can also easily deliver to the Scottish Highlands and Islands, Northern Ireland and the Isles of Man and Scilly. All of our national deliveries include packaging, boxing; handling and delivery, so there are absolutely no hidden charges whatsoever. Using Parcel Force, royal Mail and FedEx, we also deliver to nations in the European mainland such as France, Republic of Ireland, Germany, Luxemburg, Netherlands, Madeira, Denmark and Belgium, and we always welcome inquiries and orders from all of our European cousins. We spread out hands across the Atlantic to welcome our customers in America and Canada too and we regularly ship laptop screens all across North America as well as to customers down under in Australia and New Zealand. So, whether you are a foreign national or an ex-patriot or are purchasing a screen for yourself or a friend, relative or business associate, you can order from www.laptopscreenonline.com in total confidence that whatever the delivery location, your screen will arrive in pristine condition, ready to plug and play straight away. 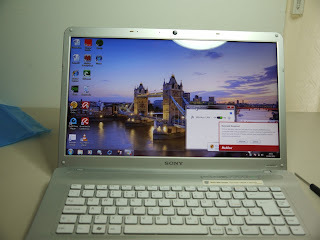 Sony Vaio are extremely popular laptops and at www.laptopscreenonline.com we have dealt with many Sony Vaio owners who required laptop screens replacement for their favourite machines. If you are buying laptop screens online for the Sony Vaio range, it is definitely best to check our site before you talk to anyone else because our products are likely to be far superior and our prices far more reasonable. Because Sony Vaio laptops are extremely expensive, many owners are under the impression that if their screen becomes damaged or scratched, instead of laptop screen repair, the only option is to scrap their machine and purchase a new one. However, although buying a replacement laptop screen directly from the manufacturer would be too expensive for most computer owners, a replacement screen supplied by us can be ordered immediately and delivered very quickly. Do not forget that it is in computer manufacturers best interest that you regularly replace your computer even if there is nothing wrong with your current model, so with this in mind, it is unsurprising that manufacturers make official parts extremely expensive. So, if your Sony Vaio machine is out of action and you need a replacement screen quickly then the best place to search is www.laptopscreenonline.com In the extremely unlikely event that we do not stock your desired screen, we will order in the appropriate screen rapidly before either fitting it to your computer or sending it on to you so that you can fit it yourself. 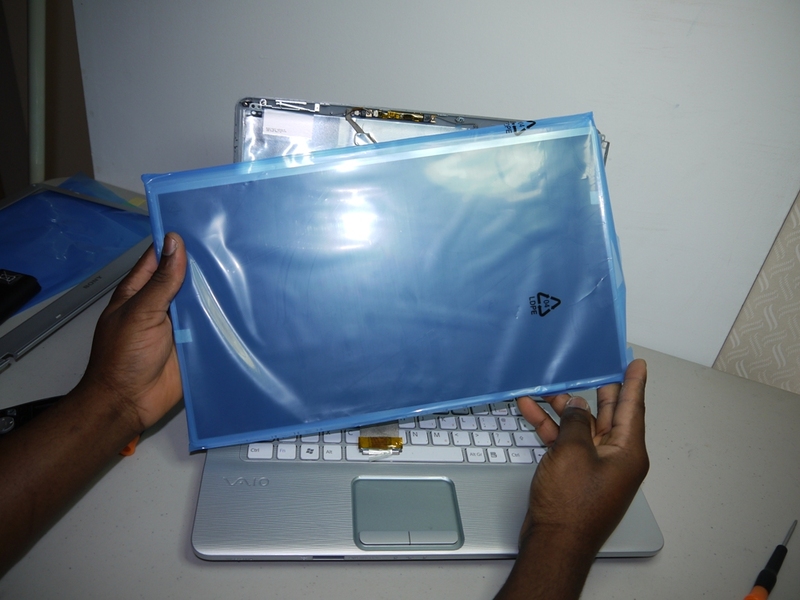 For more details of our Sony vaio laptop screens please check out our site today. Okay, you had triped and injured yourself. In the process, you also dropped the laptop that you were carrying at that point in time. As a result of the fall, the laptop screen is now broken and you cannot see any display, only cracks, lines and black bleeds. So, what are the options you can consider? First of all, before you end up paying for the laptop replacement screen , find out if it is indeed the problem with the screen and not the system. You can determine this by connecting your notebook to an external monitor and seeing if it works. If it cannot see the windows running in the external monitor, then it is the problem with your notebook. However, if you can, you can be sure that the screen has been damaged. Before you purchase the laptop replacement screen, you will need some details such as the make and model of your laptop so you buy the one that is compatible with your notebook. Not taking these details into consideration when making your purchase can end up with you buying some screen that will not work with your notebook. Next, you have to replace the screen. Rather than taking the notebook and the laptop replacement screen to the service center, you can use the replacement video below this article. There are also many helpful websites that provide information about replacing the damaged screen. Following the instructions carefully will help you fix the screen and get working at the earlies. In this tutorial you can learn a general way of replacing a broken laptop screen. Here we have used a Toshiba Satellite laptop notebook with a 15" screen size. This instruction can be used for most laptops with many different sizes including 15.4, 15.6, 17" and many others and can also be used for other makes and models like Acer, Dell, Samsung, Sony Vaio etc. This replacement instruction is brought to you by LAPTOP SCREEN ONLINE. Over 20,000 replacement laptop screens in stock. BEFORE STARTING THIS SCREEN REPLACEMENT/REMOVAL PROCESS PLEASE MAKE SURE THAT THE LAPTOP BATTERY IS REMOVED AND IT IS UNPLUGGED FROM ELECTRIC SOCKET. We have used a a Toshiba laptop but this instruction can be used for many others. Remove all screws from the LCD bezel (frame). Make sure all screws have been removed because sometimes the bezel has screws in the sides of the lid. From the lower area, gently push your fingers between the damaged LCD/LED panel and the bazel and pull gently, unlucking the mechanism holding the damaged screen inside. Do this all around the bazel until it is free from the locks. 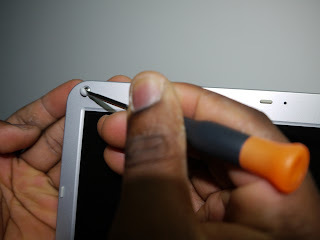 Now that the bazel is successfully removed, gently pull the top side of the screen away from the screen cover and start undoing the screws on the sides to free the screen from the holders. PLEASE NOTE THAT THE TOP GREEN PART OF THE SCREEN IS SHOULD BE HANDLED WITH EXTREME CARE. Place a piece of paper or cloth on the keyboard and place the screen gently on it. Carefully pull the display cable from the plug. The damaged screen removal process is complete. All you need to do now is fit the new screen by folowing the instruction in reverse order. This instruction will work for laptops like Dell, Toshiba, Samsung, Acer, Apple, Fujitsu, Packard Bell, Asus and many others. I hope this works for you. For any questions please leave us a comment.